Well here is a piece of news. Co-founder of the Facebook owned VR company, Oculus and primary inventor of the Oculus Rift headset is leaving the company. Facebook told Upload VR, “Palmer will be dearly missed.” Well no doubt about that. Palmer has been an important part of the organization and has some important contributions to the company. Facebook is currently suffering from a ‘copy-cat’ syndrome and seems to be taking a strong liking to Snapchat but Palmer was different. He was an inventor and true to the inventor spirit, Palmer helped start the VR revolution that the company was looking for. According to Facebook, “Palmer’s legacy extends far beyond Oculus. His inventive spirit helped kickstart the modern VR revolution and helped build an industry. We’re thankful for everything he did for Oculus and VR, and we wish him all the best.” We, however, don’t know whether Palmer left voluntarily or not. Palmer had become a controversial figure when he admitted to having help fund an internet trolling group that supported President Donald Trump. In a world where Facebook tries to keep a Switzerland image this was definitely a problem. Palmer apologized and has been in the shadows lately. However, he did testify in a lawsuit against Oculus by the gaming company ZeniMax. Luckey’s role has been pretty unclear in the company after Oculus reorganized last year. However, Facebook has insisted that Luckey was still with the company at that time. 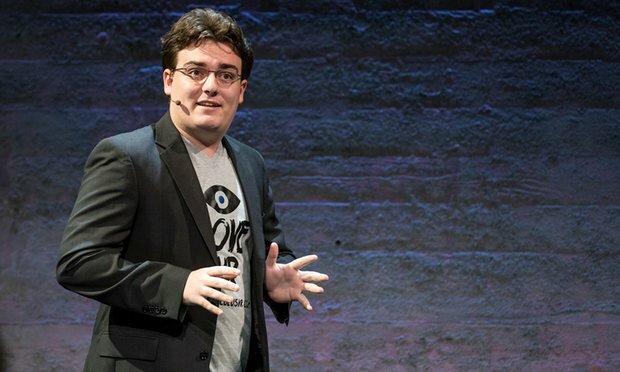 Co-founder Brendan Iribe also said that Luckey was “still working in an active capacity” on the Oculus team. Before Luckey withdrew into the shadows, he was the face of the VR industry. There is no denying the fact that ever since he announced Rift in 2012, VR expanded a lot. His efforts and contributions to the industry will always be remembered and we hope that Luckey continues his goals despite having left Facebook.